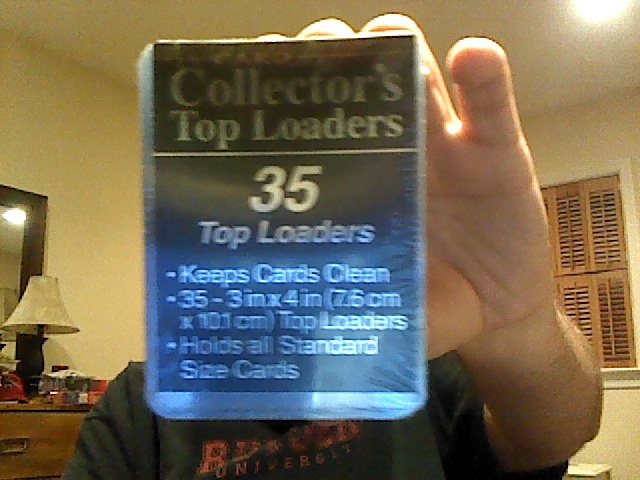 Top-Loaders are top-loaders, right? Wrong. Unfortunately, these new TLs are a lot thinner than Ultra-Pros. How thin? Thin as in, damn-near-impossible-to-fir-a-normal-sized-trading-card thin. 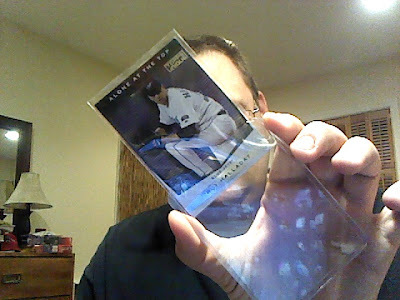 Even pinching the sides, I could not fit this Roy Halladay insert into these TLs. If you see these TLs at Wal-Mart, do yourselves a favor and leave 'em on the shelf. Stick with Ultra-Pro TLs. 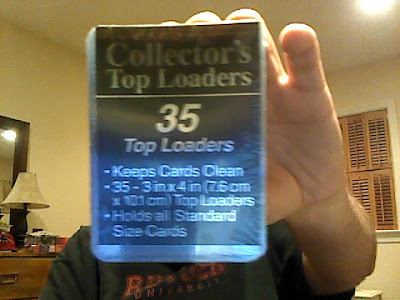 Just wondering if you had any thoughts on BCW or Cardboard Gold top loaders? I've used both of them and haven't had any issues, but was curious to hear if you had any issues with these companies. Actually on second thought... sometimes a couple of the BCW top loaders come bent/warped... but for the price, it's worth two or three damaged TL's.